A quarterly report...but not too boring! In January, YWAM Modesto and New Hope youth in partnership with YWAM San Francisco and Eastridge Church of the Nazarene spent an evening reaching out on the streets of the "Tenderloin" neighborhood of San Fran. Here, the YWAMers in the big city brief our team on life on the streets and ways that we can be a blessing to the marginalized in the city. We had a profound experience as well as a lot of fun together. If you're local and/or looking for a great location to take a mission team, pray about joining up with the YWAM team in San Francisco! Together with our friends at Global Youth Network and YWAM in Victoria, B.C., March brought us a team from the Tsartlip Native community on Vancouver Island. Our family (the Whitlers) visited this community in 2008 and we are planning to visit again (with our church youth group) this Summer. These guys came down to spend a week with us on their school break to learn leadership skills, the basics of reaching out to others, to interact with Native Americans and have a bit of fun in the process. 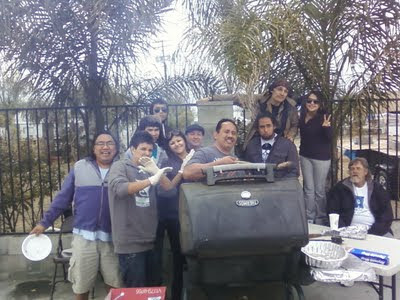 This picture is during a BBQ for the struggling community on South 9th St. They did a great job. This team also blessed the Whitlers greatly by helping us with a surprise, short notice move from our home of 4 years..our landlord was foreclosed on and lost his house :( They had all our stuff transferred to our new place (walking distance from our church!) in 5 hours! Thank you Tsartlip! For the season of Lent, YWAM Modesto hosted a Steps of Justice group to go through the Steps 30 day Prayer and Action Guide. This is a great way to gain awareness, fuel intercession and take action around issues of global injustice. Our group of 12 or 13 dwindled down to a small group of 5 by the end of our study (I hear folks are pretty busy these days :), all who participated said this was a really good experience. It's a great way to carry with you the plight of the poor and let it help inform your choices, lead you to prayer and help you to give. Read more about my experience HERE. Now this one is truly pitiful. 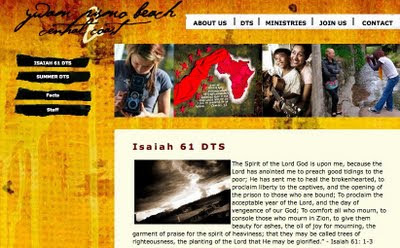 I did not even take one picture of a great team that came to be with us in the beginning of April...the Isaiah 61 DTS. 12 girls and the DTS staff joined us for a week of training and outreach on evangelism. This was an awesome team. They hit the streets with passion and purpose to love and pray for our city. It was a special privilege for me to set these folks loose in Modesto. They touched quite a few lives and are now reaching out in Israel and China! 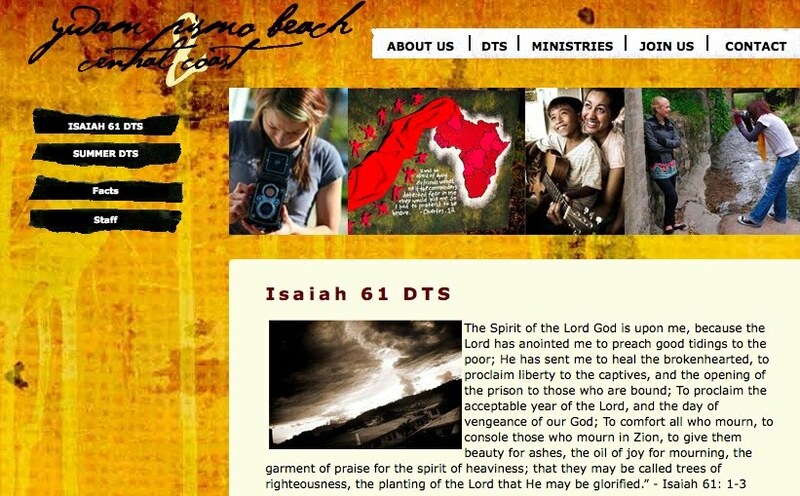 For more info in a DTS in Pismo Beach, go HERE. We were able to link up recently with this great group of folks from a local church in Salida that have started a group to make and distribute blankets to the homeless. Deb brought 30 new, clean, handmade blankets out to our most recent 9th St. BBQ to give away. Everyone loved them and were so thankful for this meaningful gift. Which leads us finally to...people from Fresno continuing to rock! Like LAST YEAR and THE YEAR BEFORE, we hosted a team from Fresno First Baptist Church for Easter week. A couple of newbies (including the new youth pastor) and a couple of veterans joined us for a week of outreach in Modesto. This group spent the week praying, feeding, and helping all over the place. A highlight for me was they day we had the high schoolers pray without us leaders and come up with the agenda for the day. What'd we do? Well, we bought 36 pairs of socks and 50 tacos and drove around handing them out to the homeless, that's what. Drive by Sockos. Then we spent the afternoon at the park with some kids that YWAM Modesto has been involved with for some time. A great day. So that's a lot to cram into a little space but we did it! Our thanks to all the teams, churches and new friends we've been able to make in this first part of the year. And here's to more as we continue on in Spring and into the Summer...this week, the Whitlers head out on a month long North American tour to visit friends and share stories and songs with congregations and households and YWAM bases across the country. In June, we'll host John Wason from YWAM Canada's Word To Life Theatre Arts. 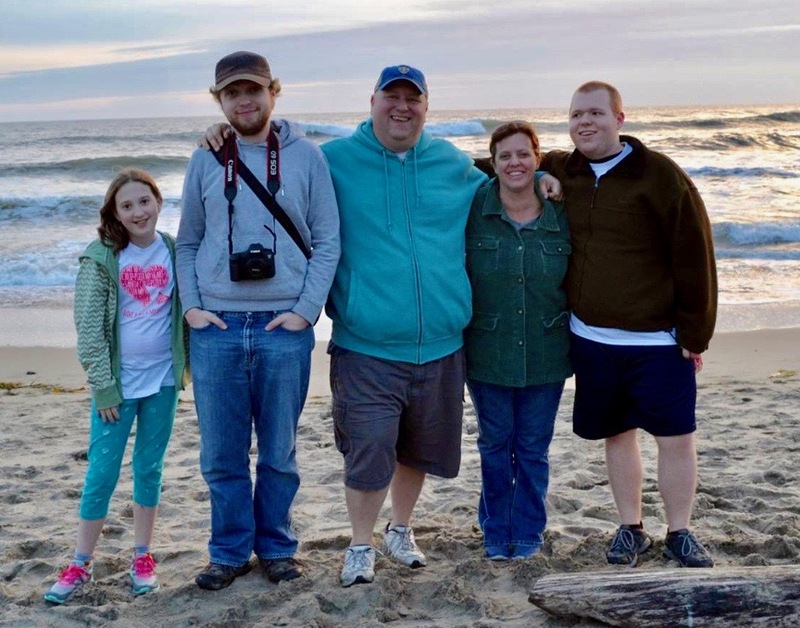 In July, we'll have visitors from Stanley Park Church in Kitchener, Ontario. We'll also take our youth group to Tsartlip and I (Chris) am looking at visiting Thailand in August. All the while continuing to partner with our church and many other organizations to be a light in our city and neighborhood. We need your prayers, support, friendship and encouragement now more than ever! ...looking up, they saw that the stone was rolled back; -- it was very large. And entering the tomb, they saw a young man sitting on the right side, dressed in a white robe; and they were amazed. This will be my last post of the season. Encountering the gospel always surprises me. Even though I have read and re-read these stories many times, Jesus is never quite who I expect him to be. I suppose that's kind of his job. Jesus breaks through, overturns, remakes, restores, creates and builds up. Only he can make an instrument of death into a symbol of hope. Only he can make a grave a place to laugh. Is there any way you could say no to this man? Because nothing will put you on the enemy's radar more than living free and like one who is back from the dead. "So if you're serious about living this new resurrection life with Christ, act like it. Pursue the things over which Christ presides. Don't shuffle along, eyes to the ground, absorbed with the things right in front of you. Look up, and be alert to what is going on around Christ—that's where the action is. See things from his perspective. Your old life is dead. Your new life, which is your real life—even though invisible to spectators—is with Christ in God. He is your life. When Christ (your real life, remember) shows up again on this earth, you'll show up, too—the real you, the glorious you. Meanwhile, be content with obscurity, like Christ." It is Christ's nature to heal, fulfill, challenge, cleanse, instruct, bring hope, give perspective, sacrifice, love, bless, discipline and go all the way to real life. Let him go. Release him from your fear, plans, structures, systems and false sense of control. Let him go on and be who he is. The road won't be easy but it will be the true way. The adrenaline of having escaped worked it's way through his veins and he felt a flash of panic followed by a kind of anger. But anger that reveled itself through a swell of tears. They all had stones in their hand and it was rare but this time he had chosen to engage. "If you don't believe me, at least believe what I'm doing. You can see it with your own eyes!" But even the grace he witnessed coming from his own hands was not enough to satisfy the hungry, blind stones. They wanted blood. As the angry crowd pushed toward him, everything slowed down. He didn't have the full picture in his mind of how it would all end but he did have the keen sense that it would not be today. And then, he wasn't there. For all the crowd knew, he had slipped around the corner in the push of people headed to the market. But he was by a river. Then, he recognized the place. 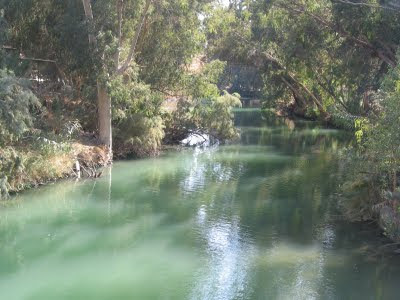 Not a river, the river. He was standing at the familiar little crook. The water was quiet here. He was alone. Not alone but alone. He sat down and drank in the calm. This was the very spot. And the voice, at once familiar and alien, called out in his thoughts again. "This is my son whom I love. I am so pleased with him!" His anger melted to a kind of sadness which melted into a kind of peace which built up into a kind of energy. It was a resolve to keep trying. He had recently had a good idea for a story about a father watching down the road for his son but he hadn't had the time to develop the details. As he sat there by the river, more of it came to him. It wasn't long before some people recognized him sitting there. Soon the word spread and a little group had gathered around him. He tried his new story out on them. It seemed like this was going to be a good one. Jesus is no stranger. He is no aloof god who is unfamiliar with our life. 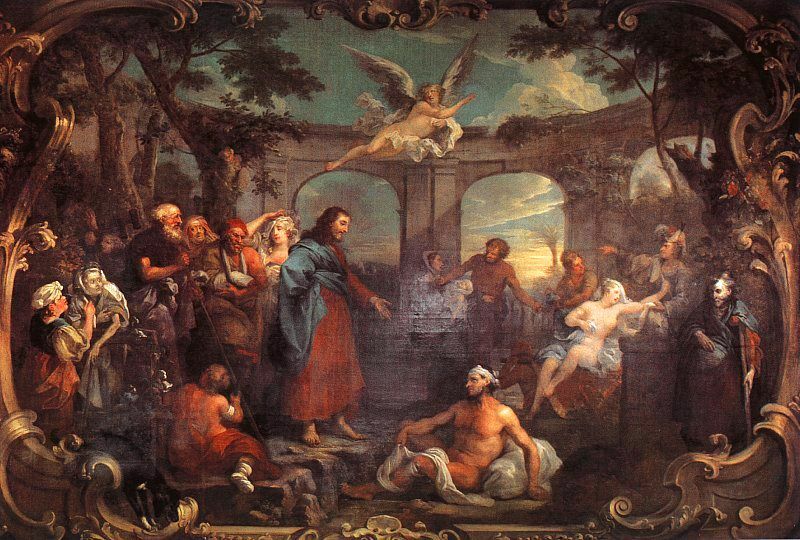 One of the beauties of the Christian story is the incarnation. Christ came to live with us as one of us in order to "be touched with the feeling of our weaknesses." If you're following this blog everyday for Lent, you'll notice, I missed another day. I blame this on busy-ness but also a debilitating pain I am experiencing right now. Since I was about 25, I have, about twice or three times a year, a very painful flare up of gout, which is a type of arthritis affecting the joints in the feet, ankles and sometimes knees. This is affected somewhat by weight and genetics. It's a little embarrassing (I have to walk with a cane if I can walk at all), it gets tiresome to explain and it just plain hurts. Right now, it feels like a spike is sticking into the joint between my right big toe and the rest of my foot. The pain doesn't let up if you get off of your foot. It just hurts and when it's happening, managing the pain is all I can think about. Today is the last day for a group study/experience that I am a part of called Steps of Justice. 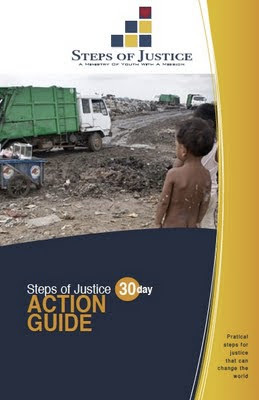 The 30 day guide asks us to put ourselves through a few days of discomfort in order to feel what some of the poor and suffering feel around the world related to several issues of injustice. We've gone a day without water, without the ability to purchase things, without food, without a shower and without shoes. All this to fuel our ability to pray for those who do not have these comforts. From both the pain I am experiencing and the Steps of Justice exercises we've done, I know ever more clearly that our society and life is geared to reward the healthy and the wealthy. Poverty, lack and pain does so much more than limit your options, it steals your focus and ability to deal with the day. If you are in pain, if you are thirsty, if you are hungry, if you can't easily get around, get to the bathroom and have limited access, it drains your energy to deal with life the way that healthy people can. Quite a few years ago, I read the book "City of Joy" by Dominique Lapierre. In it is described the life of a poor family in India. What struck me is the description of how difficult it was to get to a place to use a toilet or "take care of the body's needs" as the book so delicately puts it. Just this one thing steals quite a bit of the day. How easy it is for most of us to just walk into a nice, clean, available toilet. Just this one thing makes us rich beyond compare to most of the world. Historically contributed to several sources is the saying "Be kind, everyone you know is facing a hard battle." It's so true. Jesus came not just to deliver a message, he came to walk with us, to know us and feel what we feel. Every step Jesus took on earth was a step of justice. He cried tears of sadness, he knew pain like no other, he was weak and thirsty and hungry and lonely and grieving. He even knows what it feels like to have a spike through his foot. 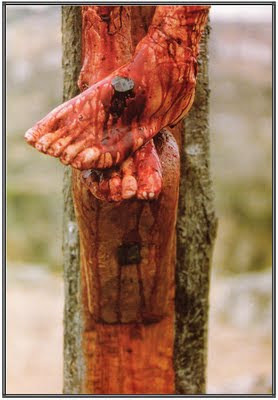 Compassion for all our poverty, pain and weakness is what drove him to the cross. The joy of the kingdom come, the relief of suffering and destruction of evil through his love and the community of his family the church is what made him able to endure it. "When you have lifted up the Son of man, then you will know that I am he, and that I do nothing on my own authority but speak thus as the Father taught me. And he who sent me is with me; he has not left me alone, for I always do what is pleasing to him." Early in the morning (Jesus) came again to the temple; all the people came to him, and he sat down and taught them. 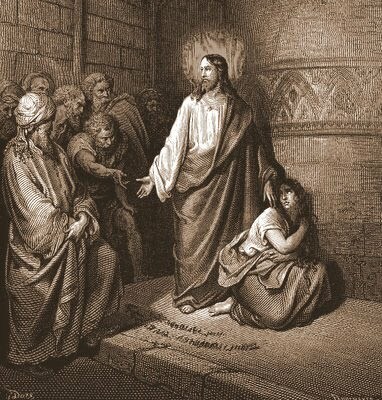 The scribes and the Pharisees brought a woman who had been caught in adultery, and placing her in the midst they said to him, "Teacher, this woman has been caught in the act of adultery. Now in the law Moses commanded us to stone such. What do you say about her?" This they said to test him, that they might have some charge to bring against him. And once more he bent down and wrote with his finger on the ground. But when they heard it, they went away, one by one, beginning with the eldest, and Jesus was left alone with the woman standing before him. Jesus looked up and said to her, "Woman, where are they? Has no one condemned you?" And Jesus said, "Neither do I condemn you; go, and do not sin again." You've got to admit, Jesus has style. Some of them wanted to arrest him, but no one laid hands on him. 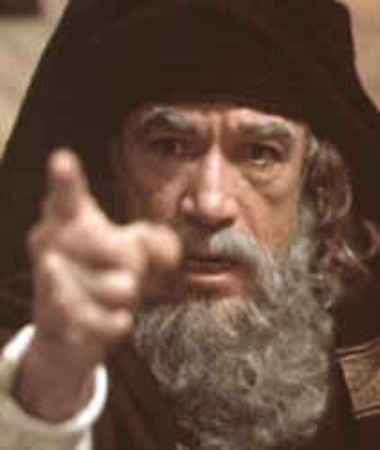 The officers then went back to the chief priests and Pharisees, who said to them, "Why did you not bring him?" The officers answered, "No man ever spoke like this man!" Theoretical physicist Stephen Hawking wrote a book in the late 80's called "A Brief History of Time". In it, he spells out some very complex ideas about the nature of the universe. It was meant to introduce physics, Einstein and quantum theory to the common folks. The problem was, it was too much for many to wrap their heads around. So, partnering with Leonard Mlodinow, he wrote "A Briefer History of Time" to create a more accessible version. You know, with pictures and sci-fi references. That's the one I read. I still didn't get it all. The second book contained all the intricacies and complexities of the first, but put in a way that we all could grasp...kinda. There is a movement out there called "The Red Letter Christians". This is a group that identifies themselves mainly with living out the things Jesus said. Not discounting the rest of scripture, but realizing that Jesus' words are most important for us to major on. This idea has fallen under some criticism as some are afraid that a majority of scripture is being ignored. But Jesus? No one ever spoke like him. If the old testament is a "brief history of God", then Jesus' words and actions are the summation of all the intricacies and beauty of God's message to us. When you take a Discipleship Training School (DTS) with Youth With A Mission, one of the major teaching requirements is a subject we call 'the Father Heart of God' and over the years, it's gotten so common that it sometimes seems like a throw away statement. "Well, what do you learn in DTS?" "Oh, you know, some basic things about missions and evangelism and like, you know, the father heart of God and..." You get the idea. But God having a father's heart is more than just a week of teaching in YWAM or a nice thought. It is the very essence of the good news. Jesus came into the world on behalf of the Father. I was raised in a church that subtly told me that God was angry and Jesus was the good guy that saved me from God's anger. That Jesus is the one that gets in the way of God's wrath and holds it back through his sacrifice. It was in reading John Dawson's article for the Last Days newsletter (read it HERE) that I first began to understand that this is a less than worthy understanding of God. Jesus is the full expression of who God is...he did not come on his own, God, the Father sent him. He did what he saw the Father doing (healing, blessing, helping) and he said what he heard the Father saying (teaching, comforting, correcting). Jesus even said, if you've seen me, you've seen the Father. What's God like? He is like Jesus. I listened to a podcast sermon today. The teacher said something to the effect of, "If Christians start to really look at what Jesus said in the gospel about how he wants us to live, it could get dangerous." Doesn't this line in verse 40 just make you want to run to Jesus? Let's go to him. Only he can give us life. Let's turn our backs on the culture of death today. Let's be quiet a while and listen to Jesus. Only he has the words of life. The hour has come. Hear him and live. And dare to believe that Jesus loves you"
Now there is in Jerusalem by the Sheep Gate a pool, in Hebrew called Beth-za'tha, which has five porticoes. In these lay a multitude of invalids, blind, lame, paralyzed. One man was there, who had been ill for thirty-eight years. When Jesus saw him and knew that he had been lying there a long time, he said to him, "Do you want to be healed?" The sick man answered him, "Sir, I have no man to put me into the pool when the water is troubled, and while I am going another steps down before me." Jesus said to him, "Rise, take up your pallet, and walk." And at once the man was healed, and he took up his pallet and walked. Now that day was the sabbath. So the Jews said to the man who was cured, "It is the sabbath, it is not lawful for you to carry your pallet." But he answered them, "The man who healed me said to me, `Take up your pallet, and walk.'" They asked him, "Who is the man who said to you, `Take up your pallet, and walk'?" Now the man who had been healed did not know who it was, for Jesus had withdrawn, as there was a crowd in the place. Afterward, Jesus found him in the temple, and said to him, "See, you are well! Sin no more, that nothing worse befall you." The man went away and told the Jews that it was Jesus who had healed him. And this was why the Jews persecuted Jesus, because he did this on the sabbath. Love, love is the new Sabbath. ...at Caper'na-um there was an official whose son was ill. When he heard that Jesus had come from Judea to Galilee, he went and begged him to come down and heal his son, for he was at the point of death. Jesus therefore said to him, "Unless you see signs and wonders you will not believe." The official said to him, "Sir, come down before my child dies." The man believed the word that Jesus spoke to him and went his way. As he was going down, his servants met him and told him that his son was living. So he asked them the hour when he began to mend, and they said to him, "Yesterday at the seventh hour the fever left him." The different ways Jesus chooses to heal always surprises me. To some he says "be healed", for others he heals remotely, for others he spits and rubs mud on their face...you get the idea. You can't lock Jesus into a formula. May it be said of us as it was said of this official..."The man believed the word that Jesus spoke to him and went his way." To get a clear word from Jesus, act on it and marvel as he responds by doing things in our lives we never dreamed possible. Orthodox believers teach this prayer (that is a variation of what we read in Jesus' story in Luke 18) as containing the whole gospel. It speaks of Christ and his position. He is the Son of God. He is Lord. 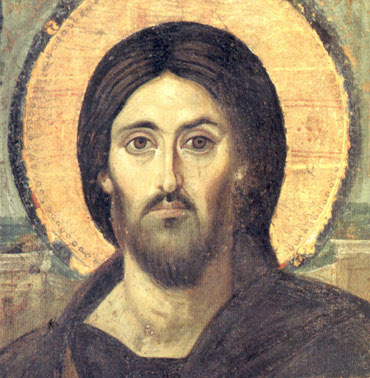 He is Christ, the Messiah (or anointed/chosen one). It speaks of our position before God. We are a people in need. We so easily lose our way. And the only hope we have is, with empty hands, receiving his mercy. 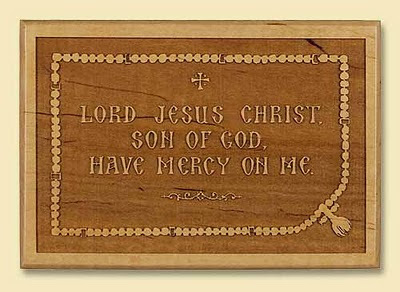 This prayer, "the Jesus Prayer" as the Orthodox mystics call it, is a nice little prayer to tuck into your heart. You can READ HERE for more on the Jesus Prayer and it's variations. Also, I would suggest a great little book about this kind of praying called The Way of the Heart by Henri Nouwen. You can check it out HERE. ...one of the scribes came up and heard them disputing with one another, and seeing that he answered them well, asked him, "Which commandment is the first of all?" Jesus answered, "The first is, `Hear, O Israel: The Lord our God, the Lord is one; and you shall love the Lord your God with all your heart, and with all your soul, and with all your mind, and with all your strength.' The second is this, `You shall love your neighbor as yourself.' There is no other commandment greater than these." 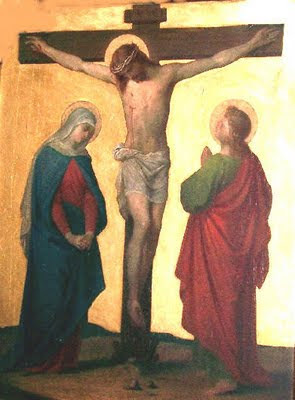 And the scribe said to him, "You are right, Teacher; you have truly said that he is one, and there is no other but he; and to love him with all the heart, and with all the understanding, and with all the strength, and to love one's neighbor as oneself, is much more than all whole burnt offerings and sacrifices." We tend to think of Jesus' relationship with the religious scholars of his day as a bit less than amiable. There are accounts of Jesus calling these guys names and calling down woes and in the end, it was the religious establishment that plotted to kill Jesus. But if Jesus loves all people, then he loves all people. His angry communication was not personal, he was trying to wake these guys up to the reality and beauty of the kingdom of God. And here we see Jesus and a scribe agreeing and Jesus' affirmation of the scribe's thoughts. We can tend to look at religious establishment and organization today through the grid of "modern day Pharisee-ism". We feel that people involved in religious institutions just don't get it and have turned Christianity into a set of rules. It can become easy for evangelicals to speak arrogantly against people in mainline denominations, older churches or even bigger churches like they aren't free and don't have the "real christianity" and that they just don't get it. Jesus loves the poor and broken and the proud and the rich and the religious and the homeless and the sick and the intelligent and the professionals and students and the humble and the jerks and rulers and left and right wings and the moderates and soldiers and foreigners and everybody. He loves people. He was willing to talk to anybody, have open debate, speak compassionately, argue, heal, turn over tables, share a meal, spend the day teaching and hang from a cross, all to show people the way to relationship with the Father. It's hard to be like Jesus. But I think it's less about trying real hard and more about yielding in the moment to him and letting him live his life and love through us.